Handy Backup can drastically speed up all DotNetNuke backup operations. 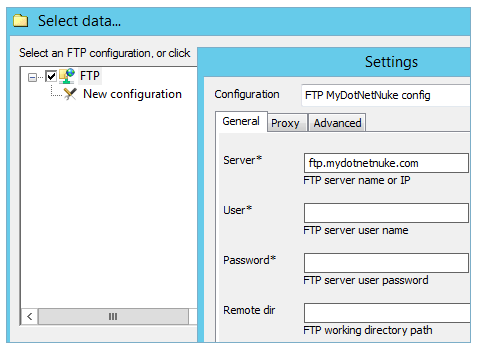 It works with both the static content (through different versions of FTP protocol) and databases of any type. All operations are fully automated, allowing saving your time, money, and, of course, your DotNetNuke CMS content. Integrity. You can govern all DotNetNuke backup and restore operations by Handy Backup, allowing saving, restoring, mirroring, transferring, synchronizing and cloning all DNN backup content via this program. No need for additional software, special plug-ins or regular commissions for using DNN website backup! Regularity. DNN database and static backup via Handy Backup allows scheduling. Set up an exact starting time and an exact interval between one minute and several months to run a DNN download task. You can also trigger DNN backup to some system events including logon and USB storage insertion. Security. You can encrypt your DNN database backup to protect all data downloaded from a website. In addition, you can utilize secure storage methods such as SFTP, FTPS or protected clouds (e.g. Amazon S3 or other S3-driven cloud). Handy Backup always uses cloud API to transfer data to online DNN backup storage! Only some of most advanced DotNetNuke backup module contains settings allowing user controlling a few aspects of the backup process. Some modules require extra programming for using non-standard settings. Instead, Handy Backup provides control over every single aspect of DNN backup. Most programs capable to download and save DotNetNuke data are costly and/or require manual control for backing up DNN data. Some users write different scripts, although this method requires significant knowledge about DNN and script language. Handy Backup just do its job. Most web hosting companies back up data stored on websites governed by particular hosting. Besides this backup, some providers allow users backing up DotNetNuke data by other ways (and, of course, by an extra fee, completed sometimes with a fee for restoration). Handy Backup requires NO fee for using. Backup Software from Novosoft LLC. 249 USD per license. For backing up DotNetNuke data, please use the Handy Backup Small Server edition. If you want to create a task automatically saving your DotNetNuke content, please follow the next instruction. In Handy Backup, open a new task wizard by clicking onto the “New…” button. On the Step 1, select a backup task and proceed to the next step. On the Step 2, select the data source on the left panel, according to your DotNetNuke static storage type (FTP, SFTP or FTPS). Double-click on the “New configuration…” item. In a new window appearing, fill all the fields at this window according to your connection settings, and then test this connection (you need to set up the connection settings only once). When the connection test is successful, a data selection window will appear. 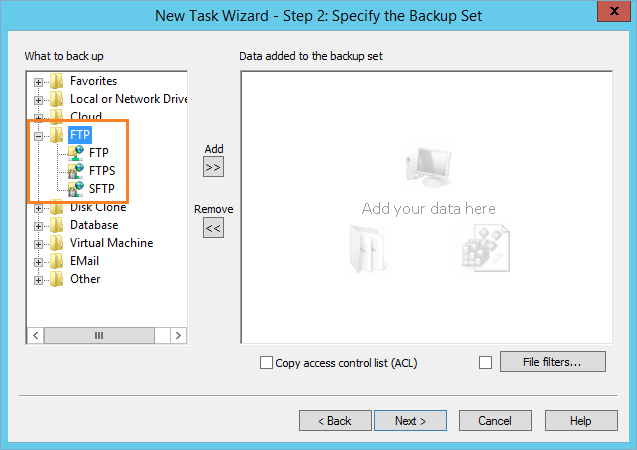 Select all data in your FTP folder that you want to back up. To select or unselect some data mark or unmark the checkboxes before the file or folder name. Press “OK” for returning to the data source window of the Step 2. Now make DNN database backup. Select a data source representing your database engine (e.g. MySQL), and then establish the connection with a database and select data you want to backup. Proceed to the Step 3 and select where you will store your DotNetNuke website snapshots. It can be almost any modern storage, from a small USB flash drive to the cloud service account located on Google Drive, Dropbox or Amazon S3. Now do all the next steps for task creation. The last step is naming your backup task. That is all; Handy Backup will do any other things for you. Start your task manually, or use scheduled sequences for automatic backup. Enjoy! Note: Please read the User Manual for detailed instructions about database backup. Learn how to backup a website with Handy Backup, step by step. Note: Instructions in this video suggest that you already have Handy Backup installed on your computer. If you still haven’t done so, don’t hesitate to download it. Try all functions of DotNetNuke backup personally! 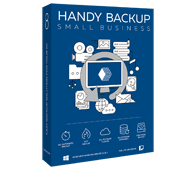 Download the latest version of Handy Backup for a completely free 30-days trial period.